Resort masterplan design done by One Leisure Limited senior partners and rendered with supporting staff assistance. One of several vehicular courts designed and drawn by Matt Zambelli. Plan rendering of vehicular court integrated with conceptual design sketch. Birds eye view of vehicular court and underlying concept sketch. Perspective view of vehicular court illustrating planting bump outs, feature wall, and traffic circulation. Perspective view illustrating residential entrance feature walls. Conceptual sketch of a five bedroom villa entrance landscape. 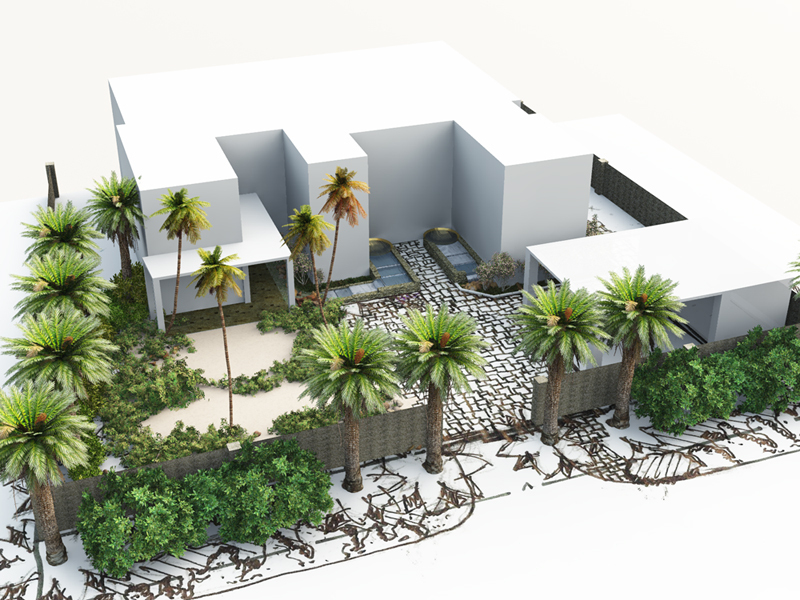 Plan rendering of five bedroom villa entrance landscape with underlying conceptual sketch. Birds eye rendering of villa entrance. Perspective sketch/render view looking out from residence entrance.